Eve’s Annual All Event Post! Wine and Magic Shows at Valencia Wine Company are currently being held on the third Wednesday of every month at 7pm at the popular wine bar at 24300 Town Center Drive. 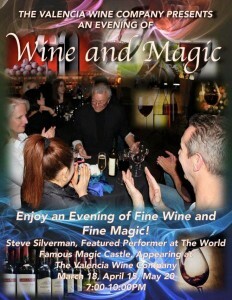 The next one is on 4/15: “Enjoy a special evening of magic with Steve Silverman famous magician from The Magic Castle. Steve Silverman lives a retired life…retired from the real world that is. He has transitioned from the Space Business to “monkey business” and has been performing real magic, something he has loved for most of his life. Steve developed his magical skills a long time ago and has since lectured on magic, published tricks, and is a featured performer at The World Famous Magic Castle. 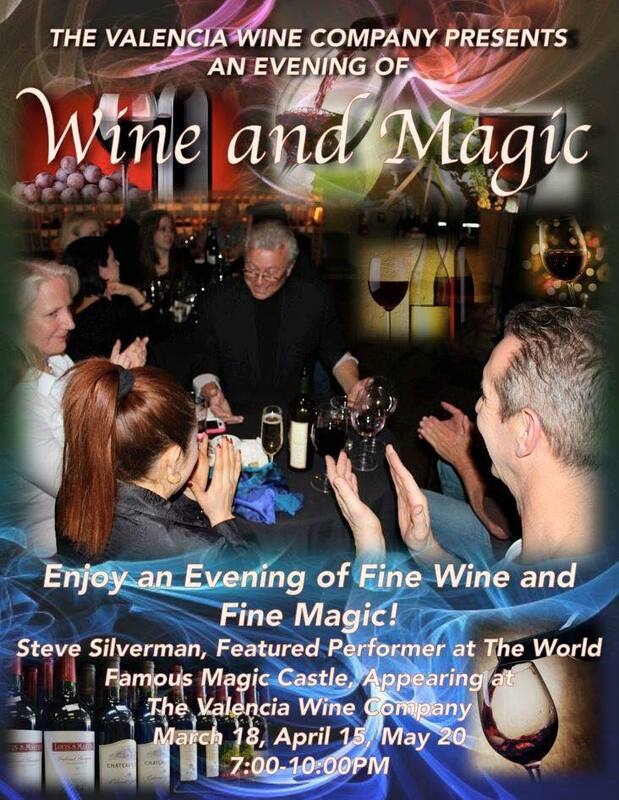 Steve has performed Close-up Magic here at the Valencia Wine Company and it has been a wonderful hit; we encourage you to come enjoy it for yourself and friends!” More info: 661-254-9300. 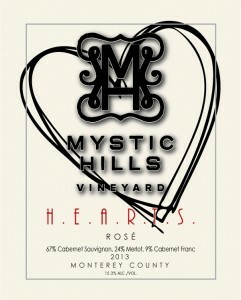 Mystic Hills Vineyard Rosé Release Party will be held in a private Stevenson Ranch home 4/25. Local wine enthusiasts may have been introduced to Mystic Hills Vineyards during a packed house tasting last month at Wine 661, or non-profit tasting events. All three bottles of their very first vintage were honored by the San Francisco Chronicle Wine Competition: Mystic Hills Vineyard’s 2011 “Unforgiven” red blend was awarded a gold medal, and the 2011 “Sequel” red blend and 2011 Cabernet Sauvignon both received silver medals. Now, with the release of their new H.E.A.R.T.S. rosé, made from Cabernet Sauvignon, Merlot and Cabernet Franc (that I loved!) they’ve planned a special release party for 4/25 in a private home in Stevenson Ranch. Vintners Joel and Judy Cox are SCV natives, Joel has a star on our Western Walk of Fame in Downtown Newhall as he is an Academy-Award winning editor for Clint Eastwood films. Judy is known as the founder of the Betty Ferguson Foundation, which was a long-running and respected non-profit named after Judy’s mother that worked to improve the quality of life of women through educational grants and volunteerism. The tasting event will be held from 2 p.m. until 6 p.m. Reserve your tickets by emailing info@mystichillsvineyard.com, via fax at (805) 467-2019 or by calling (805) 610-1099. Then it’s home for a shower and meandering around the giant lawn of the Mann Biomedical Park for Taste of the Town. Come out and join us in support of all of the vendors that give their food and beverages for free in support of our Child and Family Center – for the 27th year! There is a silent auction, opportunities to win a 15- day Hawaiian island Princess cruise and a one-carat Belgium diamond, and live “danceable” music! This year’s 33rd Annual Paso Robles Wine Festival takes place over four days, 5/14 through 5/17, and is guaranteed to be a hit as usual. 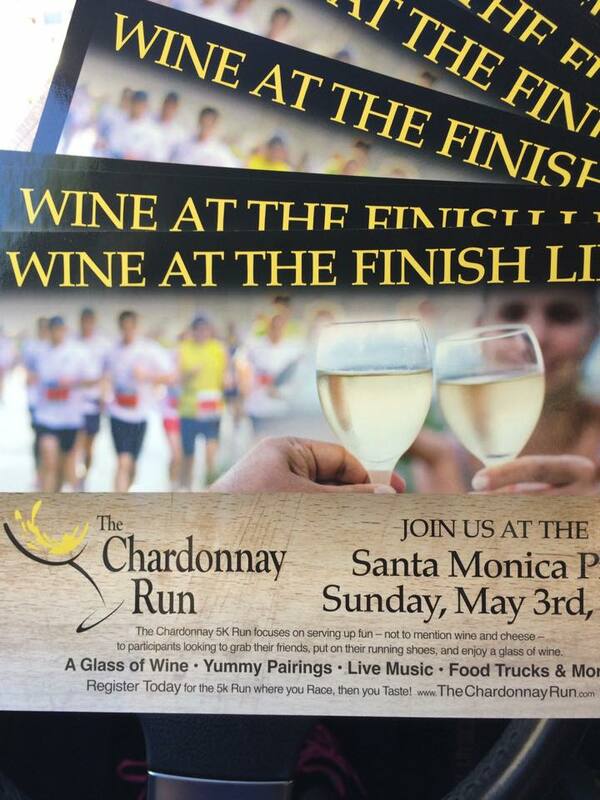 Get your hotel, pick what interests you most, and immerse yourself in wine. 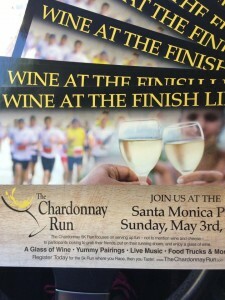 “The 33rd Annual Wine Festival kicks-off Thursday, May 14 with a selection of Winemaker Dinners. Details coming soon! On Friday, May 15, select wineries feature their Library, Reserve, White/Rosé, and Futures complemented by fresh and local gourmet bites at the RESERVE Event. Start your morning on Saturday, May 16 with a fun and educational Winemaker Seminar. Following the seminar, more than 70 wineries come together in the Paso Robles Downtown City Park to showcase their wines during the Grand Tasting. Wineries at the Grand Tasting will be arranged by “regions” for a seamless and focused tasting experience: Bordeaux-style, Rhône-style, Zinfandel, Burgundian-style, Italian varieties and Other Wild Wines for your tasting pleasure. In a new, expanded band and picnic area of the Grand Tasting, the Damon Castillo Band will provide the perfect music to complement your wine tasting experience. Get out of town and into the woods: For its 12th year Wine in the Pines promises that “…for four hours, from 12 noon to 4 pm on 6/13, you’ll be able to taste exciting wines from throughout California’s top wine-growing regions, with dozens of premier wineries to choose from. If wine isn’t on your favorite list, Stella Artois and Wolf Creek microbrew will be available for tasting. And then there’s the food: some of Kern County’s, Santa Clarita Valley’s, and our own local favorite restaurants will be on hand to serve you everything from classic European finger food and gourmet pizza to good-ole western barbeque. There’s nothing like pine-scented air and the shade of tall pines to complement the taste of good wine and equally good food, unless it’s live music—loud enough to set the mood, but smooth enough not to ruin it. 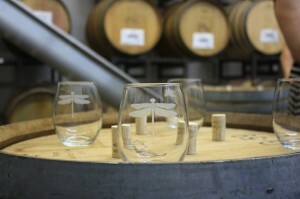 Wine-themed art will also be on display to round out the afternoon.